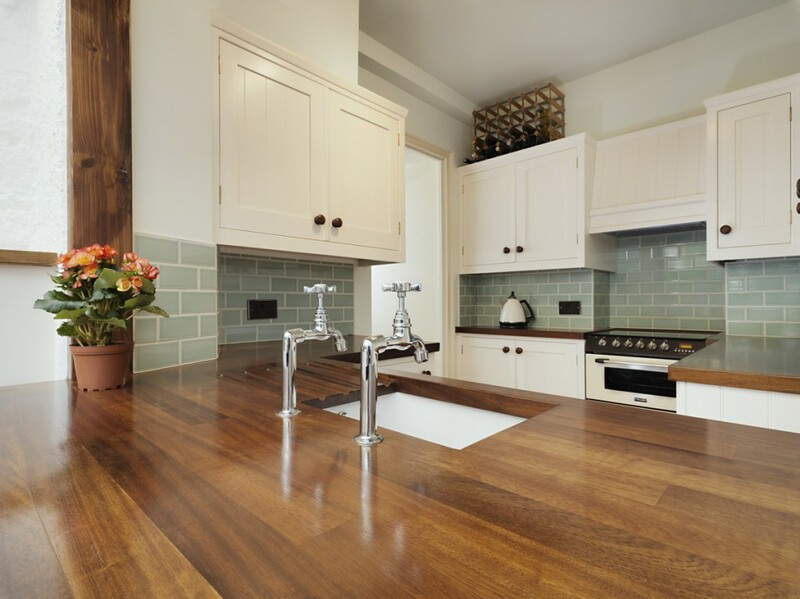 This simple cottage style kitchen was created for a period property in the heart of town or the deep countryside. 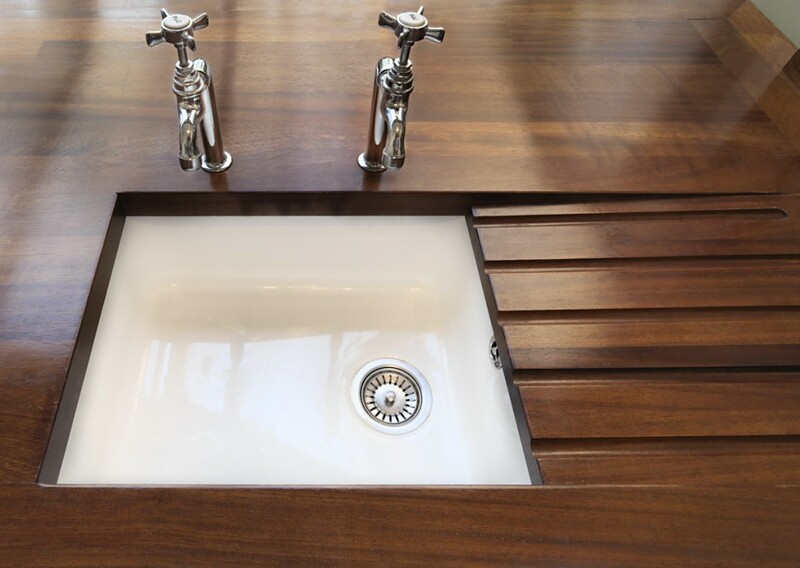 Panelled Inlays and wooden doorhandles add texture and warmth to a natural palette to really make this kitchen stand out from the crowd. 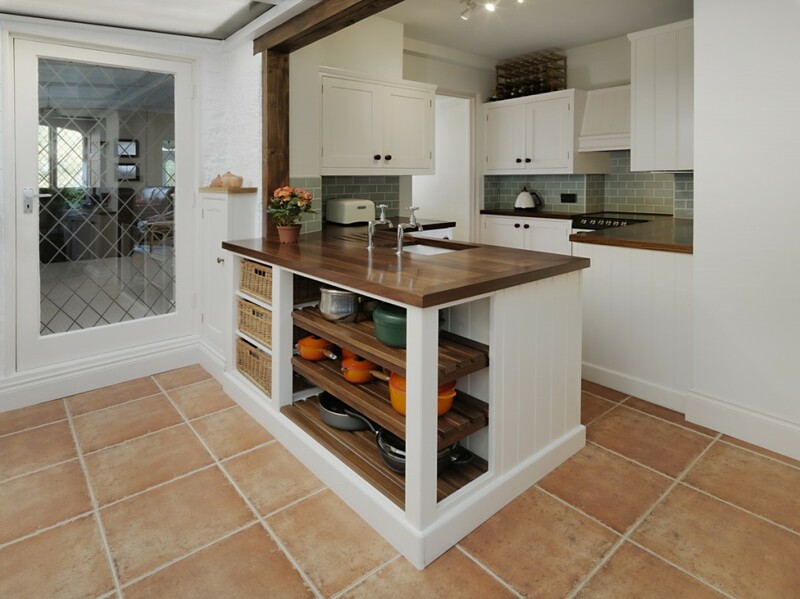 If you like Shaker style designs but want to set yourself apart, then you will love this unique and lovingly crafted Redgate kitchen in your home. 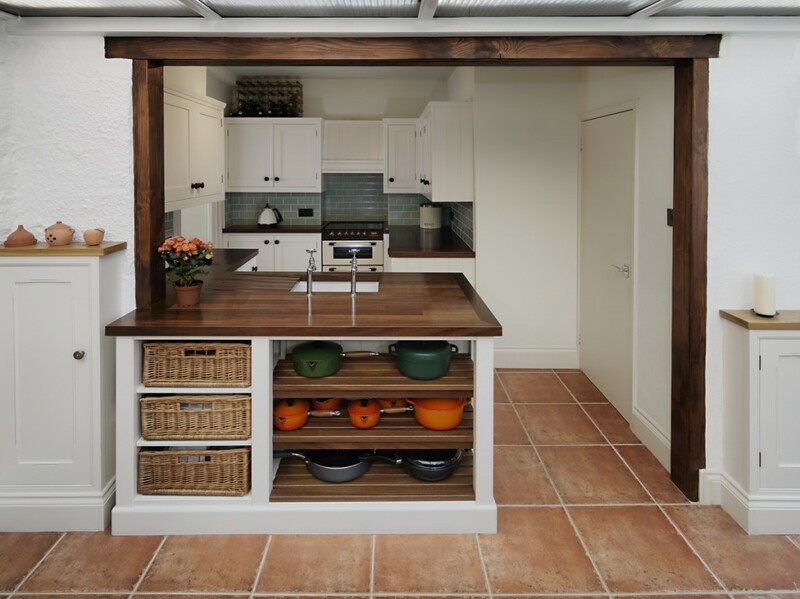 In the kitchen seen here, by opening up the area into the existing conservatory we were able to create a peninsular unit with lovely custom made ‘Iroko’ worktops. 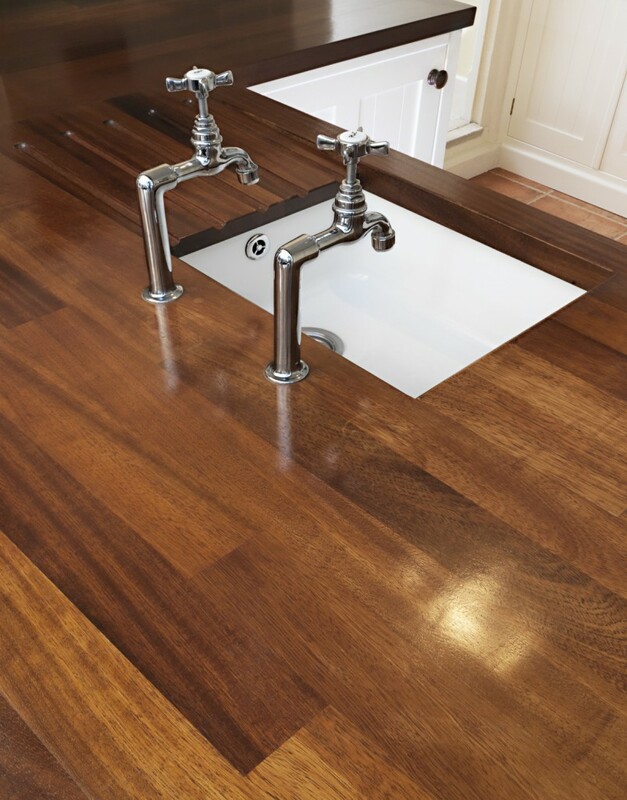 The chrome pillar taps and sink finish the look that is fitting for this 200 year old property.